Why Play at Cashino Casino? You’ve probably seen one of their brick and mortar outlets on a UK High Street and now you can join the slots action online at Cashino. This virtual version of the live casino is powered by Playtech and is home to a selection of around 300 video slots. There’s an especially strong selection of titles from Blueprint Gaming which combine high spec sound and visuals with plenty of extras. 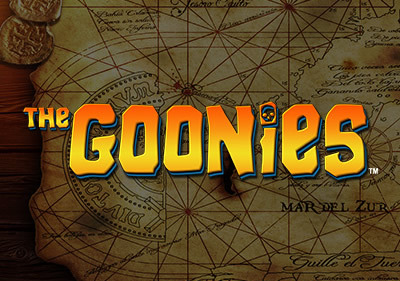 The catalogue includes The Goonies, Ted, Spinal Tap, Inspector Gadget, the highly entertaining release Vikings Unleashed MegaWays and many more. There’s also a strong pick of jackpot games that can deliver potentially eye watering and life changing payouts. 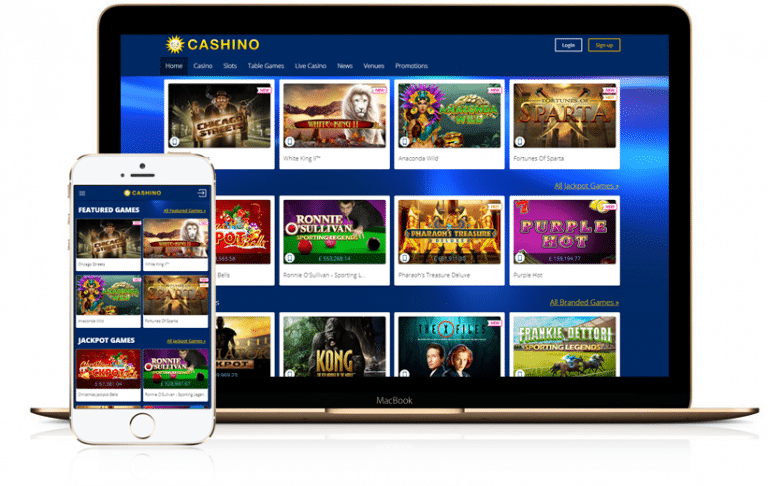 Optimised for play on mobile and tablet devices as well as PCs and laptops, Cashino has a tasty welcome package for new players. There’s a 100% bonus worth up to £250 as well as up to 150 free spins on offer for new sign ups. You’ll also get £10 match play to use in any Cashino venue when you deposit £25 or more. Rather like their live venues, there’s nothing too flashy about the look of Cashino. The interface certainly isn’t the easiest on the eye and it’s sometimes not the easiest site to work your way around. As a big High Street name what you can expect is reliability though. With its unfussy design and solid service, Cashino offers just that. The Cashino website isn’t the most navigable and user friendly you’ll find. If you need help, it’s not immediately clear where you’ll find it. Click on the About Cashino tab and it will lead you to a list of links. Choose FAQs and you should find the answer to most of the usual queries. That includes deposits, withdrawals, bonuses and the like. There isn’t a search facility though. If your query is a bit more exotic and you need to get in touch with a Cashino operative, then there are a number of ways to do so. The easiest way is via the live chat or a free UK telephone number. Both of these operate from 1pm until 10pm – 7 days a week. You can also email or get in touch via Facebook. There’s a callback facility so you shouldn’t be left hanging on the phone for ages. Surprisingly for this day and age, there isn’t an option to use Skype. The design here looks a little tired but with a bit of digging around you should be able to find everything that you’re looking for. All the usual payment methods are present and correct when it comes to making a deposit at Cashino. The options include Visa, MasterCard and Maestro as well as bank transfers. You can also use the prepay Paysafe Card or money wallets Skrill and NETeller. In all cases the minimum deposit is £5. You’ll be allowed up to 30 free withdrawals a month. After that a 5% levy is charged on each transaction. I find that pretty fair to be honest as 30 free cashouts is substantial in my opinion. The usual timescales apply for withdrawals with the money wallets offering the quickest delivery of funds. These should be sorted within 24 hours of approval. Credit and debit cards are usually around 2-5 days with bank transfers arriving in 3-7 days. The minimum withdrawal amount is £10. Cashino uses industry standard technology to keep your details safe. You’ll have to confirm your identity using the KYC procedure before you make a withdrawal – this is standard practice for online casinos with a UK license. The site operates under the licence of Merkur Interactive Malta and is regulated by the UK Gambling Commission. The catalogue of games here isn’t the biggest but there a very decent variety from the approximately 300 titles on offer here. If you’ve enjoyed the blend of quality sound and visuals and excellent range of features found in Blueprint Gaming video slots, then you’re in for a treat here. 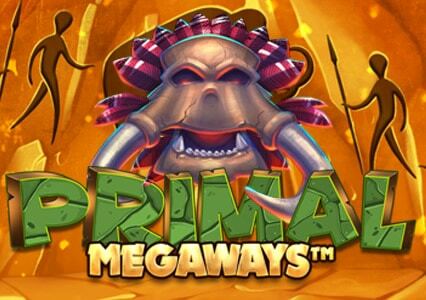 The catalogue of Blueprint Gaming titles available here is impressive and includes The Goonies, Fortunes of Sparta and the exciting MegaWays video slots Vikings Unleashed MegaWays and Primal MegaWays. 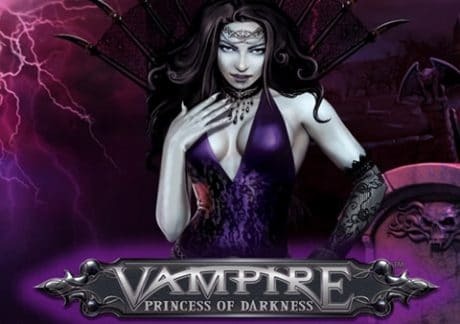 Click on the slots tab on the homepage and you’ll be offered a selection of game. There’s also a tab that features branded slots. That range includes Justice, The Matrix, Rocky, Terminator Genisys and The X Files – all from Playtech. 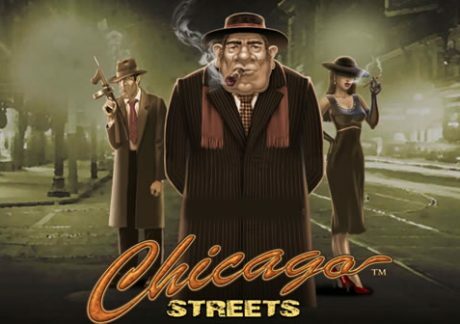 I always head to the New tab which helps – other video slots worth playing include Charms of the Sea, Chicago Streets, Anaconda Wild and Fiesta de la Memoria. If you like jackpot games, you should do well too. The range here includes Top Trumps: Football Stars Sporting Legends, Ronnie O’Sullivan Sporting Legends, Gladiator Jackpot and Gladiator Road To Rome. There’s also a search facility if you know exactly what you’re looking for. The sign up package at Cashino is a good one. New players can take advantage of a 100% bonus worth up to £250 on their first deposit. Also thrown into the mix are up to 150 free spins plus £10 to use in one of the 150 Cashino shops dotted around the UK. The bonus and free spins come with a 35x wagering requirement which you’ll have 30 days to complete. If you want to take advantage of this welcome offer, then you can’t use Skrill or NETeller to make your first deposit – I recommend using your debit or credit card. Anyhow, you can use it to make later deposits just not the first. There are regular offers and promotions available once you have signed up. For example, you can get up to 10% cashback up to £250 on selected video slots on Thursdays. Bonuses, free spins and win boosts are on offer in you play the selected Game of the Week at certain times too.